Spring sports are underway at Sharon High School as students have one last opportunity to play a sport during the school year. Sailing started Monday, March 11, 2019 and baseball, softball, outdoor track and field, lacrosse, ultimate, and tennis started on Monday, March 18, 2019. Sharon High School Athletic Director Dr. Nick Schlierf is very confident in the teams this year, “I think our spring sports teams are set to do extremely well,” he said. “We had a positive spring last year and we have a lot of players returning on all of our teams to do extremely well this spring,” he added. Captains are prepping for this year’s potential teams. 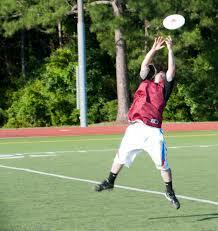 “So, I think we have a really strong capability to build off of last season,” said ultimate team captain Ben Kane. “We graduated three or four seniors and they were really important to the team, but I think that we have a lot of young talent in the form of sophomores and juniors this year that are gonna be able to fill their roles really well,” he added. “I think this season will go a lot better than last season,” softball captain Jody Goldenberg said. “We have a lot of good freshman that were pulled up to varsity that should help make our season better and stronger,” she added. Schlierf talks about the improvements of the softball team, “[Softball] struggled last year as they had graduated their pitcher and had no one to replace her, so varsity softball this year is very excited about their new pitcher freshman Trinity Payne and what they can do on the field this year to erase the season that they had last year, so no doubt there will be huge improvements there,” he said. Kane is already thinking about the playoffs. “I know that we have the talent, I know that we can work together as a team in order to beat the top teams in the state and I really think that there is no limit for us and I can definitely see us going really super deep in the state tournament,” Kane said. Schlierf thinks very highly about the ultimate team, “We have so much talent in ultimate with a middle school program, coaches who are dedicated to the program, and the kids who are just excited about it and will throw the frisbee whenever they get the chance,” he said. “The number of boys out for the program is at fifty, and the girls were pushing to get more, but we got a solid varsity group coming back and looking to make their impact at states as well,” he added.